0:25Skip to 0 minutes and 25 secondsHello. I'm Margaret Crombie. I've researched into the field of language learning and dyslexia and written on the subject in a number of journals and books. In this talk, we're going to look at the role of information technology, IT, in supporting learners with dyslexia who are learning English as an additional language or those who are dyslexic and are learning another language, any language. The principles and techniques can be used to support language learning, generally. Firstly, I'd like you to think about what IT involves. When we think about IT, we're thinking about computers, the internet, various devices, such as interactive whiteboards, tablets, phones, all sorts of digital communication devices. We're thinking, too, about software-- computer programmes. 1:22Skip to 1 minute and 22 secondsAnd we're thinking about digital technology on the move, apps, applications that can do a whole variety of different jobs. Most of all, we're thinking about communication. And that's what we learn another language for. I'd also like you to think about dyslexia. And you might say to yourself, dyslexia makes language learning difficult because of the difficulties that learners have in their first language, difficulties with phonology and understanding the sound system of languages, difficulties with memory, difficulties with auditory and visual perception, sometimes sequencing difficulties, sometimes oral or speech difficulties, and reading fluently in their native language. And, yes, true, language learning may not always be easy. 2:15Skip to 2 minutes and 15 secondsBut there are ways in which we can make it easier for those with dyslexia to cope and, hopefully, succeed in learning another language. And information technology can help. A lot will, of course, depend on what you have available. But if you and the learner have some hardware, and there is a lot you can do. And it's worth doing. IT is generally popular with pupils. It can be a source of motivation for pupils who are struggling. It can also help teachers find ways to help individuals in a busy classroom situation, as tasks can be individualised to the needs of individual pupils or groups. 2:59Skip to 2 minutes and 59 secondsIt's important to start with what the learner with dyslexia requires and think about the principles of teaching and learning when we apply these to language learning and dyslexia. Though there are no two people who are exactly the same, there are some principles that you can apply. You'll know the term multisensory and what it means. But how can we apply this to language learning and IT? We need to help learners to make use of all their senses, seeing, hearing, saying, and being active in their learning, sometimes typing, sometimes singing along, sometimes dancing, even. We need to make the learning systematic, sequential, and cumulative, building on what we've done previously. 3:51Skip to 3 minutes and 51 secondsThe learner will require to overlearn to compensate for the difficulties with short-term and working memory. Having a good model is important. The learner needs to copy from someone who can give appropriate pronunciation and support. The learner will require mnemonic strategies to help him or her cope. We'll need to employ some tricks to help memorise. And to help with this, a metcognitive approach will be helpful. Metacognition is all about what the learners know and about learners knowing how they learn best and being able to adopt the best techniques for their own learning. So we'll have a look now at how IT can help. I'd just like to draw your attention, at this point, to an important difference in language learning. 4:44Skip to 4 minutes and 44 secondsIf you're brought up bilingually, that is, you live and learn where more than one language is spoken, you think in both languages right from the start. 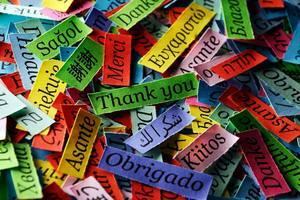 You may mix the languages from time to time, but your thinking processes involve more than one language. On the other hand, if you start to learn another language when you're at school or when you're older, you think in your home language and go through a process of translating into the new language, whether you think about this consciously or not. That process goes on for a while and can slow down the learning of the new language. If you keep on learning successfully, you'll get to a stage where you can think in both languages. 5:34Skip to 5 minutes and 34 secondsBut that won't be at the start. So sometimes, it's important to slow down the language model to allow for the extra time that the person with dyslexia will need. If you're thinking about language learning software, consider your learner and if they will need to have the language slowed down for a time. You can always speed up the language production to a natural speech speed just as soon as your learner is ready. There are computer programmes that can do this. You also need to ensure that learners have time to respond before moving on. So choose your programmes carefully. And think about the learners' processing speed. 6:19Skip to 6 minutes and 19 secondsTo help with the sounds, sometimes unfamiliar sounds in the new language, we need a structured approach, where the student sees the letter or letter combinations that make up the sounds and words that are being spoken. They need to learn to associate letter patterns with sounds and need to see these onscreen. Pace the learning and ensure you don't give too much too soon. The learner will need lots of reinforcement, and that's where computers come into their own. They never run out of patience. Also, don't ever assume a learner will know something unless it's been taught, or you're sure it's been learned in another way. Games are a good way to help reinforce sounds and vocabulary once these have been taught. 7:08Skip to 7 minutes and 8 secondsBut games are not a substitute for teaching. Games, too, help students process from short-term and working memory into long-term memory. Try to ensure your students say the sounds or the words when they come onscreen, or repeat them, if that's appropriate. Many of these games are available now on apps that learners can use on their tablets or on their phones, if they have a smartphone. Some learners have visual difficulties that mean that they have a sensitivity to black print against a white background. And this will influence how they perceive words, for reading, especially. This seems to make the letters jump or move around on the page or give unusual effects that cause distraction away from the print. 7:58Skip to 7 minutes and 58 secondsVisual stress or Meares-Irlen Syndrome can be diagnosed by an orthoptist, an eye specialist. But it can be alleviated sometimes by changing the background colour. This can be done easily on the screen, so what the learner sees is more comfortable to read. Simply go to Format, Background, and select the colour that the learner finds most easy to read. To build up oral skills and fluency, there is no substitute for hearing, seeing, and using the language. There are many ways in which information technology can help here. There are films and podcasts available to suit students of all levels. 8:43Skip to 8 minutes and 43 secondsIt helps if there are subtitles and learners can see the words as they're spoken in real situations and then repeat them until they become automatic. Students can listen to these films again and again until they're able to remember the phrases they're working with. I'm relaxing on the beach. Students also need to use the vocabulary they're learning in real situations and in speech. Tuning into a language and getting practise are important. Students need to listen to the sounds and words until they become familiar. And for this, there's no substitute for interacting with a native speaker or someone who knows the language well. 9:28Skip to 9 minutes and 28 secondsSocial tools are useful, possibly with a fellow learner or a learner of similar language ability, so that both learners can learn from one another. What I've shown are just a few of the ways in which you can use IT and technology, generally, to help pupils with language learning. There are many more ways. I've shown some of the principles that are involved. But perhaps the most important of all is to maintain the pupil's motivation to learn. Learners need to find success if they're to remain interested. And for most students, information technology is a tool that can do just that. IT can't replace human beings. 10:16Skip to 10 minutes and 16 secondsBut with some careful planning and consideration, can help teachers in the classroom and outside to help their pupils. Dr Margaret Crombie talks about multisensory learning and the use of information technology. Please watch this presentation and take notes on how information technology can be used as part of a structured multisensory learning program. In what ways is IT useful to help dyslexic learners? Are there any specific tools, applications, software, websites that you would recommend? What difficulties/barriers have you experienced in using modern technological tools when working with dyslexic students? Have you got any suggestions for how to overcome these? The video is available to you as a courtesy of Pearson Education.